October was a busy month for me and it really went by super fast. No really, it’s kind of freaking me out how fast the months are going by. We have less than 2 months left before Christmas! LESS THAN 2 MONTHS! In previous years, I always had most of my Christmas shopping done by beginning of November. This year, however, I have completely failed. And to be honest, I’m starting to get worried… You see, Neal and I have this tradition going. We buy each other 2 biggish gifts, 1 for Christmas Eve (spent with my Mom) and 1 for Christmas Day (spent with my parents-in-law etc). PLUS we also have to fill a standard pillow case each with stocking fillers and smaller gifts for early Christmas morning when Neal and I wake up. When I was a little girl, Santa Claus always used to leave a pillow case filled to the brim for both my brother and I. Boy, was it a treat!! So Neal and I have kept the tradition going (plus I am a 30-year-old child). Anyway, so I haven’t even made a dent in the whole pillow case filling situation and I need to seriously start pulling my socks up! I hope Neal isn’t reading this – haha! Now that I got that off my chest, let’s jump right in to my favourites for the month of October. First up we have a hair care product, it’s the Dove Colour Radiance Leave-in Conditioning & Care Spray. Holy mackerel, do I love this product. I’ve enjoyed using it so much, I bought one for Irina to include in her Delish Box. It’s a lightweight conditioning spray for your hair that can be used on either wet or dry hair. It doesn’t weigh my hair down and is so effective at moisturising my hair, whilst adding shine. Don’t be scared to use it on dry hair, it dries almost instantly and leaves your hair feeling silky soft. The dual formula (the liquid in the bottle actually separates when it stands for a while, so you have to shake the bottle before use) nourishes hair & contains UV filters to help keep your hair colour vibrant. Favourite because it instantaneously adds shine and moisture to hair, without leaving it feeling greasy or weighed down. Next up we have a product that needs no introduction, I have mentioned it previously here and here. It’s the Hydraluron serum from Indeed Labs. I won’t give too much info on this little miracle serum because I have already covered most of what you need to know in this blog post. I am so impressed with the effect this product has had on my skin, I now want to try the Nanoblur skin perfector (from Indeed Labs) as well. It’s like HD-ready technology for your skin. Favourite because my skin feels plump (almost like I’m 18 years old again!) in the morning after applying it as part of my night-time skincare routine. All I can say, is I hope Indeed Labs products will still be available in SA in 40 years’ time because I won’t deal well with jacked-up wrinkly skin. 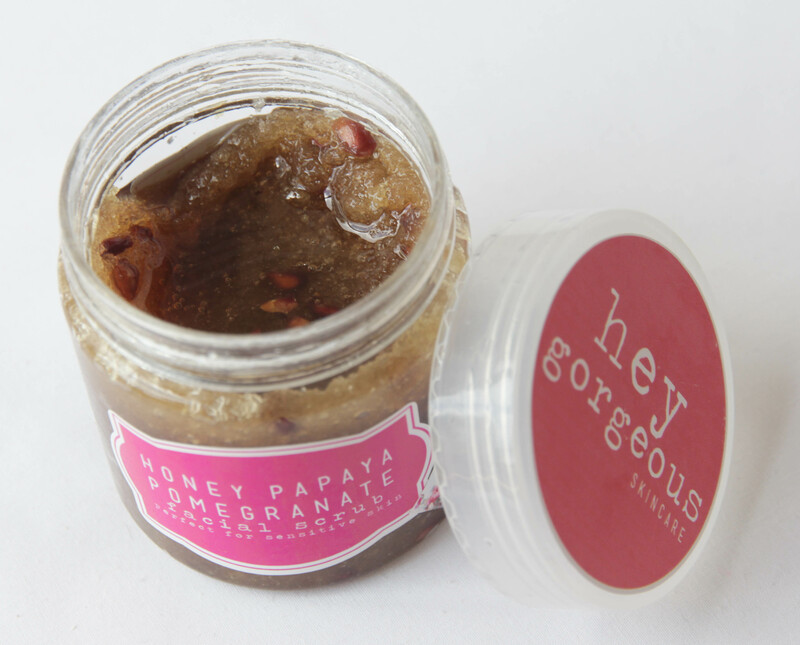 Then we have a product that has pleasantly surprised me – the Hey Gorgeous Honey, Papaya & Pomegranate Facial Scrub. I honestly didn’t expect to love this facial scrub so much… When I first opened the jar and sniffed the scrub I was like: “Ooooooh myyyyy goooooosh!” It smells like something I can eat, something I want to eat, something I need to eat. Now, if you would like to read more about the benefits of honey, then check out this blog post here. I actually think this little scrub needs a review blog post, because there is a lot of info I would like to give you. So yes, I think I’ll do a full review soon… But the reason why I love this scrub is it doesn’t contain any soap, and yet it removes my makeup like a charm. And it leaves my skin feeling soft, plump and well moisturised. Favourite because it smells delicious (and I may or may not have tasted a teensy bit, it tastes just as good as it smells by the way) and it removes dead skin cells and makeup without leaving the skin feeling dehydrated. Before you start thinking I have some weird type of eating disorder, I only tasted a little bit plus Hey Gorgeous products are 100% natural (so I’m not ingesting any Parabens, Sodium Laureth Sulfate, Ammonia, Toluene and / or Formaldehyde). 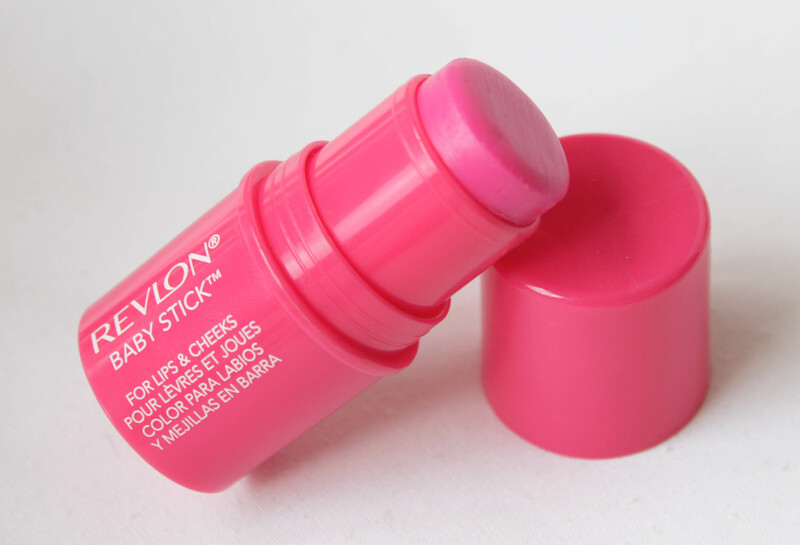 Next up we have the Revlon Baby Stick in Pink Passion. This chubby little stick was part of the Revlon Gucci Westman Pacific Coast collection. I did a blog post on some of the collection items I purchased here (there is also a swatch photo of this cheek and lip tint in the blog post). It really is an impressive blush stick, it almost looks like a stain on the cheeks (without the oily finish one occasionally gets from a full-on cream blush) but it doesn’t actually stain the cheeks. If cream blush and cheek stain had a baby, this would be it. I guess its name it quite fitting that way. 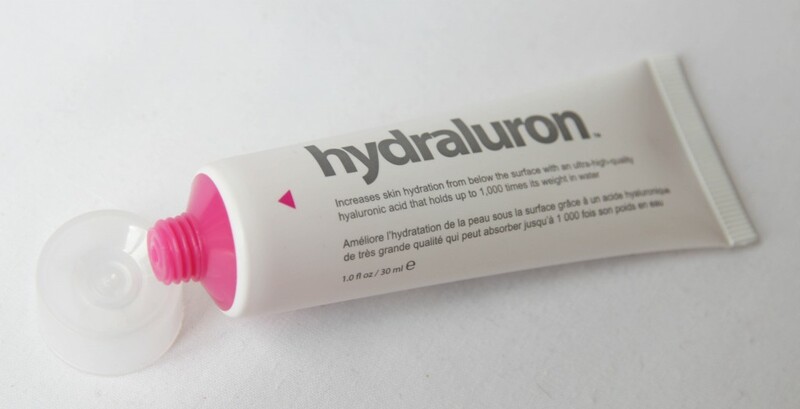 Favourite because it gives my cheeks the perfect summer flush, plus it’s lasting power is pretty darn good! Last but certainly not least, we have another cheek product. It’s quite obvious I have an obsession with cheek products… Let’s call it a healthy obsession, shall we? I won this Smashbox Halo Longwear Blush in Peachy Dream (yet another fitting name!) about a month ago in one of Nicole’s amazing Birthday giveaways. I was so intrigued when I first saw how the blush worked – you turn the coloured wheel part of the packaging to shave some of the blush off & it accumulates in the blush pan. 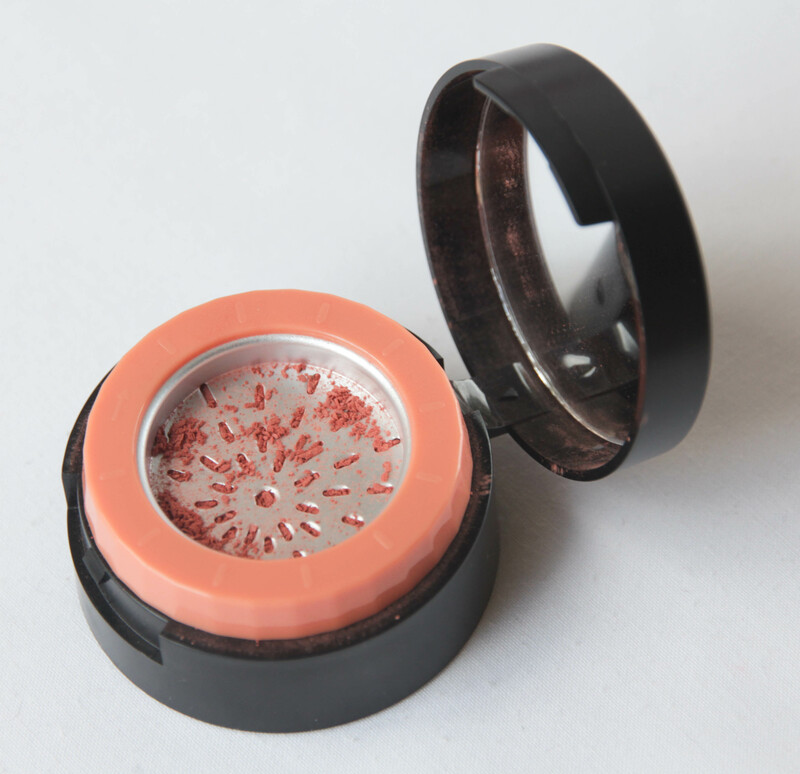 I love this shade – I mean, you guys know how much I love my peaches and corals! You only need the tiniest bit of product to give the cheeks a gorgeous peachy pink glow (it contains a small amount of shimmer for that flushed look). Favourite because this blush is super pigmented, very long-lasting and blends beautifully into the skin. 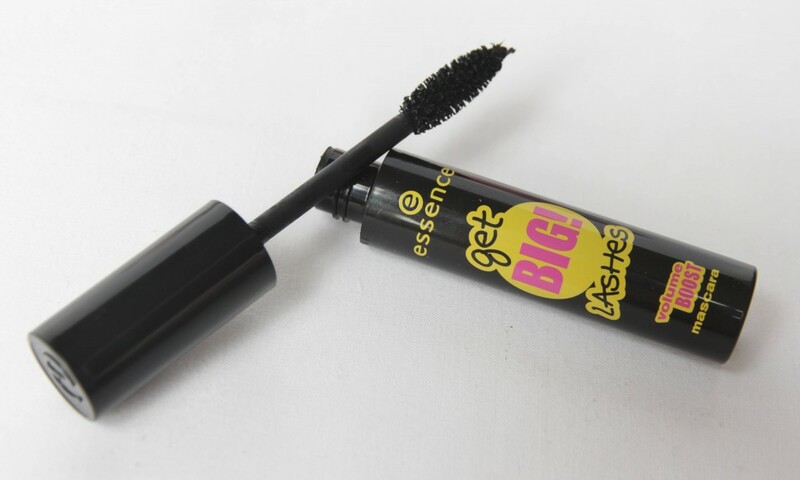 If you like your drier type mascaras then this Essence Get BIG! Lashes Volume Boost mascara is right up your alley! It’s not even close to my alley, unfortunately… I don’t like the dry consistency of the mascara because it feels like hardly any product is transferred to my lashes. And when I apply more product (i.e. 3 or 4 coats), my lashes get clumpy and flaky. Not a cute look! Fab products. I also love the DOVE spray and the baby stick. I’m obsessed with my scrub from Hey Gorgeous. Yum! I really don’t like men with moustaches. They look like pedophiles. Eeek! But it is for a very good cause! I’m definitely ordering a body scrub from Hey Gorgeous! I’m thinking the Caramel Fudge or Strawberries & Cream scrub – eeeep! Thanks, Bianca! I loved reading your comment! German Xmas biscuits and cakes sound amazing, wish I lived it Cpt! I would come knock on your window on Xmas morning for a little snack! My husband is taking part and I don’t like it at all (the moustache not the cause, of course!). It just doesn’t look good on someone in their 30’s (except if you are a ‘Konstabel’). He keeps on telling me he likes it and he’s going to keep it. I REALLY hope he’s just teasing. If it’s not gone by 2 Dec I’m going to pin him down in the middle of the night, shaver in hand! Hopefully your husband will shave that thing off on the 1st of December, I’ll make sure the shaver is waiting on Neal’s side of the bathroom counter! Thank you for commenting, Charlie! Ooooh, now I’m really curious to try that Dove Conditioning spray! Clicks is currently selling a gift set that includes the Colour Radiance Shampoo, Conditioner and this Nourishing Spray (plus a little makeup bag) for only R 100,00! It’s a great deal because this spray usually retails for R 72,00! And love, love, love the Revlon Baby Stick! You always have THE best products!! I’m so jealous! I usually by now at least have an idea what I’m going to getting everyone for Christmas and I have failed, badly!! I love the pillowcase tradition, I bet that’s such a nice thing to wake up to! My husband can’t take part in Movember, his job doesn’t allow it…thank God! Haha!! It’s the best thing to wake up to in the morning! I’m usually a late sleeper, but on Christmas morning I’m wide awake by 6h00 – haha! I keep finding myself reaching for it when I’m in the mood for a pink cheek – I really love this little stick blush! The honey papaya scrub sounds lovely! Movember is such a great idea, can’t wait to see how Neal is doing the Movember thing! Looking forward to spend a joyful Christmas Eve with my kids and fourlegged grandchildren! I was just looking at the Dove product on the weekend and wondering it I should get it. I will definitely be going back to grab it. I love these posts. Thanks you!